Thank you for writing this post and for planning a YouthCast session around this important topic. These are beautiful pictures and beautiful words. It makes me happy to hear that like your school and that you value community. Thank you for sharing this. I agree that racism is a huge problem in our country. Do you have ideas about what we can do to help prevent and correct racism? Abby, this is a great post. Thanks for sharing it, and for all your hard work during the election and ongoing. It is a hard time for many us right now, but only because we care about our country and all the people in it. Keep up the good work! 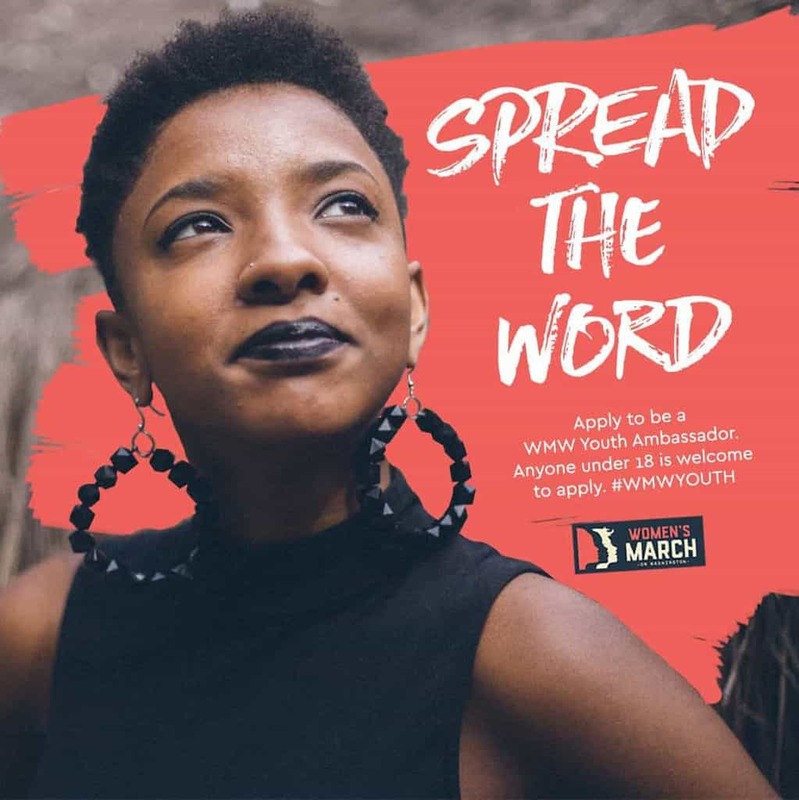 The Women’s March is looking for youth activists under the age of 18 to apply for the #WomensMarch Youth Ambassador program! San, this is such an important topic. I’m glad you are researching and writing about it. I look forward to reading more about what you learn. Thanks for sharing this book. I haven’t read it but I am going to look for it. I think this is a very important topic, and I am glad you are looking into it. Thanks for writing this, Lilian. Immigration and deportation are important topics to me, especially as it relates to children. When you talk about people leaving without their children, do you mean that they have left their children in their home countries, or are you talking about people who are deported from here without their children? Thanks for writing this. Your title intrigued me. Isn’t it true that all of our families come from immigrants, unless perhaps we are Native Americans or other indigenous people? Thanks for writing this, Alexandra. You are a good writer. I love your words “from nothing but pure love,” and I’m glad you can see loveliness in the world around you, even though there are also so many things that are negative and challenging. Keep writing! Edwin, thank you for writing and for sharing. I am glad that you care and that you believe we can achieve anything. You are lucky to have a good family. Keep up your striving and believing and writing! Do you think you would like to live on another planet? Or maybe on a space station? Karen by is licensed under a Creative Commons Attribution-ShareAlike 4.0 International License.